Let’s play a word association game. Ready? Ok, me first: New Zealand.Did you just think of sheep? How about Lord of the Rings? How about… Fergburger? Anyone think of beaches? Nope, didn’t think so. So you can imagine my scepticism when lastminute lovely Nicole asks me to do some research on New Zealand’s beaches. “Wait, stop,” I scoff to myself. NZ has beaches? Yeah well…actually, NZ’s coastal backyard is pretty amazing, I take it all back. So get ready guys, here’s another reason to visit NZ, apart from fish and chips, Frodo and Fergburgers of course. 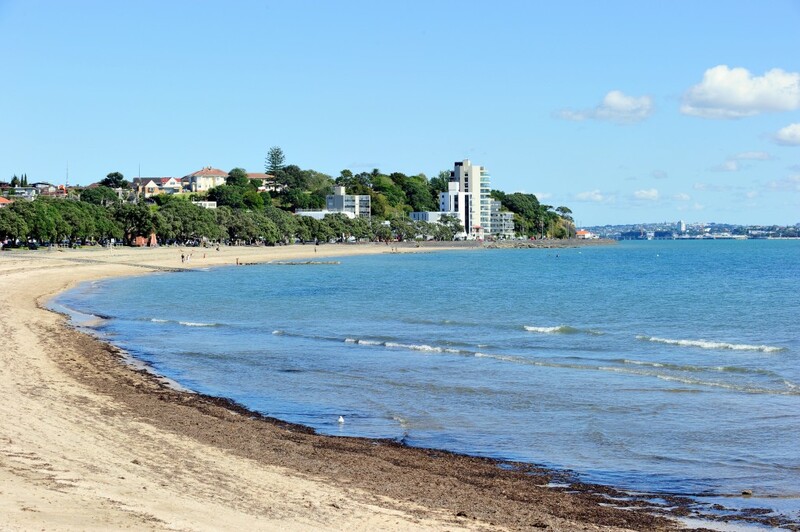 If you’ve only got a short time in Auckland, then mission beach is where you need to go for that quick sun/surf fix in the city. Grab a picnic blanket, some fish and chips and you’ll be set. Hot as in literally hot, this beach is one for the science nuts. We are all aware of just how active NZ is (ahem, Rotorua) and this North Island beach has two massive thermal reservoirs that seep hot water into the ocean. All you’ve gotta do is get there a couple of hours either side of high-tide, grab a spade and start digging. Once you get a decent pool happening, flop down into your sand spa and relax! Hot tip: Arrive early; this beach fills up super quick. And also, the water can get up to 60 degrees, so be careful or you’ll burn your bits! What’s better than one good beach? 144 islands with separate beaches attached, of course. 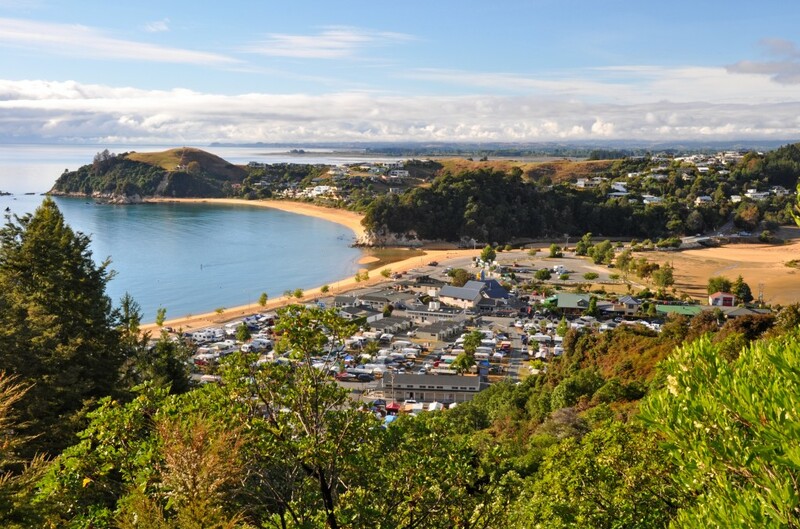 Northland’s Bay of Islands – an archipelago located three hours from Auckland – is a must visit for beach babes who love the sand and surf. 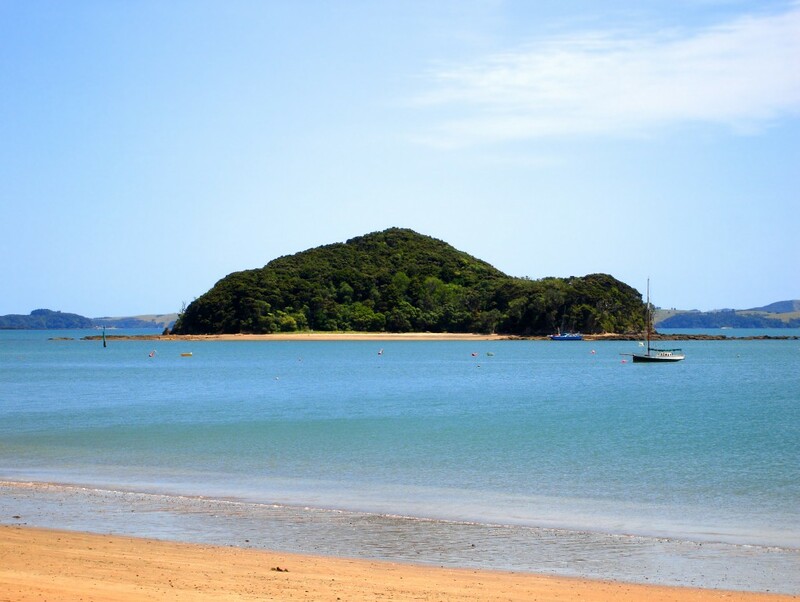 Base yourself in Paihia and island hop your way through. Surf’s up! Piha Beach is the surf central, 40 km from Auckland. 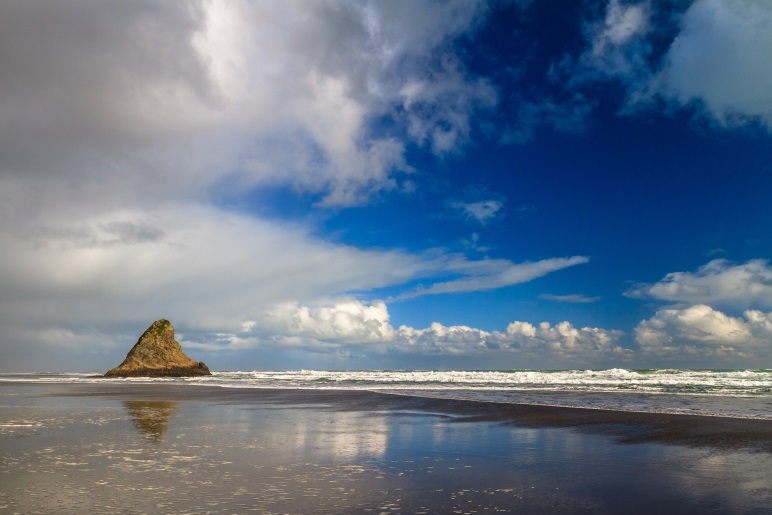 Here you’ll find the very iconic Lion Rock and huge waves that roll out of the Tasman and crash on to stained sand. Definitely one for the surf junkies. Walk the windy road down to Karekare beach and you’ll be confronted with big waves, rocky outcrops, waterfalls, sand dunes and blow holes. This part of the coast is wild with dark sand and no one for miles – perfect for some solo solitude. And don’t forget your camera, you may even get to share your spot on the beach with some fur seals. Hot tip: Black sand means super-hot feet in summer. Don’t forget your Havvies! Even though Ninety Mile is the biggest beach in NZ, it turns out its name is just an exaggeration. The beach stretches for only around 58 miles, so sorry guys, you might have to squish up! With sand dunes for sliding and waves for surfing, Ninety Mile is great for those who can’t sit still. Make sure you check out Cape Reinga, where you can soak your toes on the northern-most tip of New Zealand. A visit to the lighthouse here is highly recommended. Waves, white sand and wild forest – um, yes please! The ‘Byron Bay’ of the North Island, this beach is super popular in summer and has the restaurants, beach side boutiques and bars to back it up. 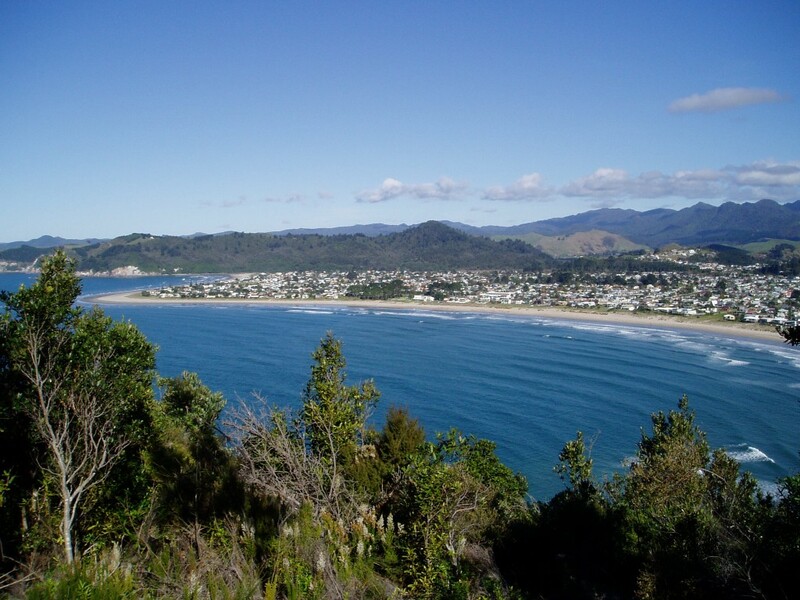 With a good mix of coastal conditions, Whangamata is a true people pleaser. While you’re here, bliss out, go bird watching or take a boat trip out on the water. South Island lovers, take note, this beach will have you wanting to move in as a local. 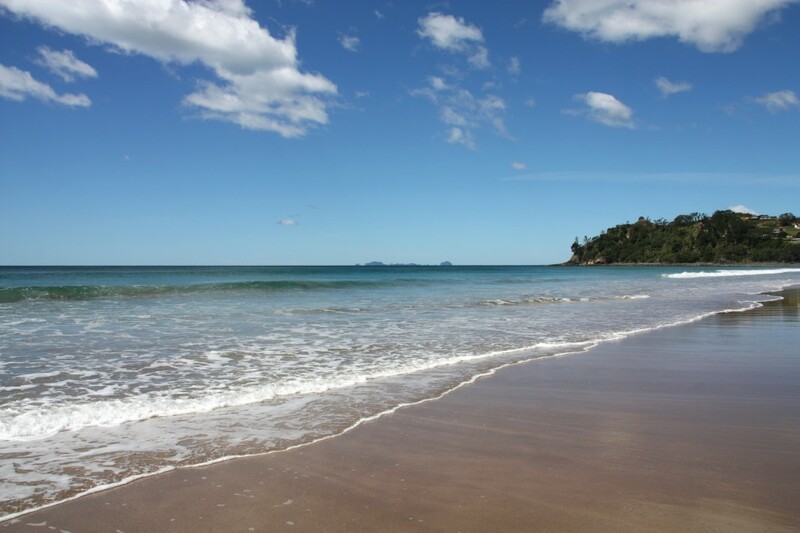 Golden sand and long sunny days make this beach one of the best in the South Island. Have coffee, follow a walking trail or just enjoy the water, Kaiteriteri is a real family fave. And guess what, the high quartz content in the sand makes it sparkle – take that Gold Coast! Don’t forget your sunnies here, this area gets the most sunshine in the country and with penguins, seals and dolphins as local residents, we wanna move in too! So tell us: have we missed any? What’s your fave NZ beach? Mitzi Wilson wants to see the world and write about it. Driven by curiosity and a passion for meeting new people, she isn’t satisfied unless there’s a new trip being planned. She’s trekked through jungle in Nepal, stacked it in snow in Japan, contiki’d around Europe and partied under the full moon in Thailand, but as the symptoms of wanderlust dictate, that’s just not enough. You can read more of her work here and follow her on Twitter here. It’s time to add Poland to your Passport – hello vodka!